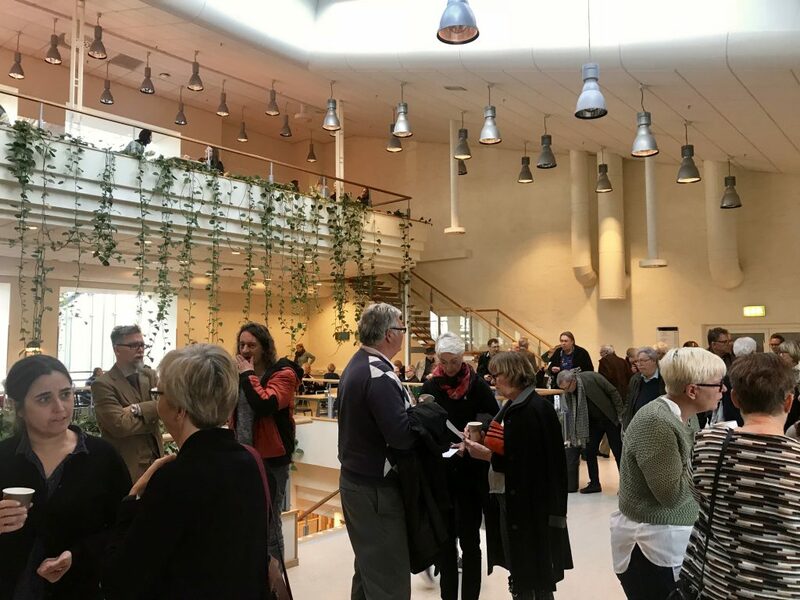 Every year Campus Helsingborg invites curious guests to Campus Open, an afternoon filled with interesting presentations about new research, innovations and organisations and an opportunity to have fika and network with old friends and new connections. This years theme was the digital city and the sharing economy. The key note speaker, Martin Güll, is a Lund University alumnus who has studied civil engineering and now works at Helsingborgs stad as manager of digitalisation. He opened up his presentation by asking the audience about what they thought was the hardest part with his job today and he got various suggestions such as cooperation, problem solving etc., but neither was right. Instead he answered the question himself by saying “the hardest part with my job today is explaining to my mother what I actually work with”. An answer that resulted in many laughs from the audience, but also says a lot about how fast technology is moving and developing and that it isn’t always easy to explain. In his presentation Martin wanted to share what’s happening in Helsingborg right now, and how they use digitalisation to develop their city. He talked about how they, among other things, work with making their co-workers have the courage to try new things and to dare to move fast in order to keep up with all the new expectations that the digitalisation brings with it. Click here to get to know more about the digital city Helsingborg. After Martin’s opening presentation the researchers Cecilia Cassinger and Mia Larson presented their research about sharing economy. Sharing economy is about how people cooperate to quick and easy make use of and share products and services with the help of digital platforms. Airbnb and Uber are examples of this. Cecilia and Mia talked about the benefits of this such as efficiency, bringing society closer together and saving time and money. They also mentioned possible consequences such as professional groups that may be unrivalled by different sharing platforms. After this opening hour of the afternoon there were several presentations to listen to such as “Computer Safety: From hackerattacks to the futures quantum computers” by Paul Stankovski, “They talk about making a change – the shooting stars at the business heaven” by Emelie Dahlström, “Digital tourism information: Something for everyone?” by Lena Eskilsson and Maria Månsson, “Internet of Things makes the city smart” by Erik Larsson and “How tourism became a means for terrorism” by Christer Eldh. 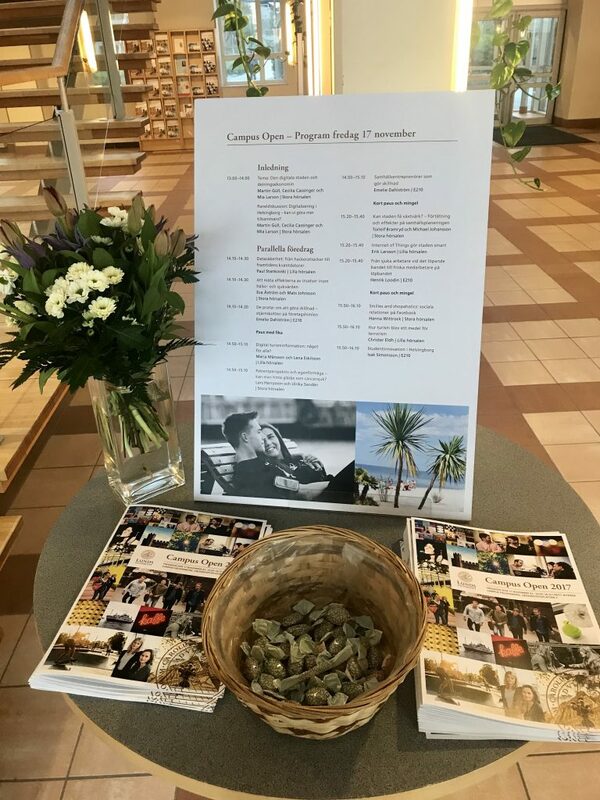 It was an interesting, educative and inspiring afternoon and I thank Campus Helsingborg for opening up their doors and am looking forward to be welcomed back. If you’re also interested in participating in this event next year look out for Campus Open 2018, it’s open for everyone.